2019 New Year Silhouette of Woman at Golden Sunset. 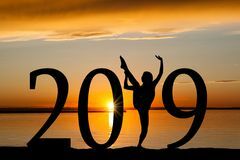 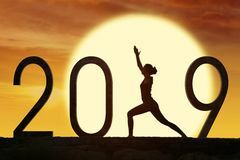 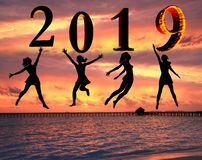 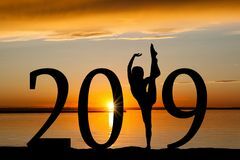 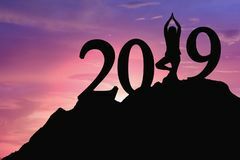 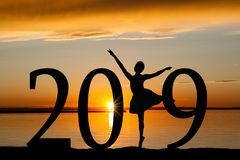 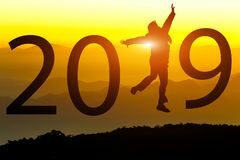 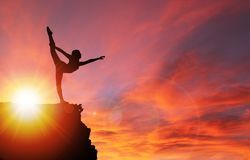 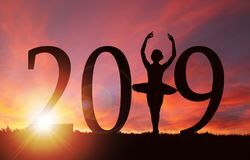 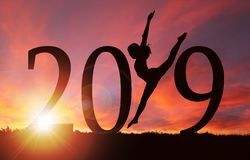 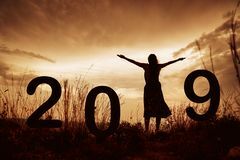 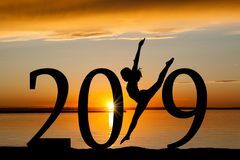 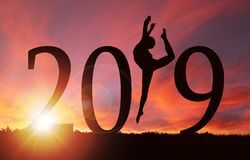 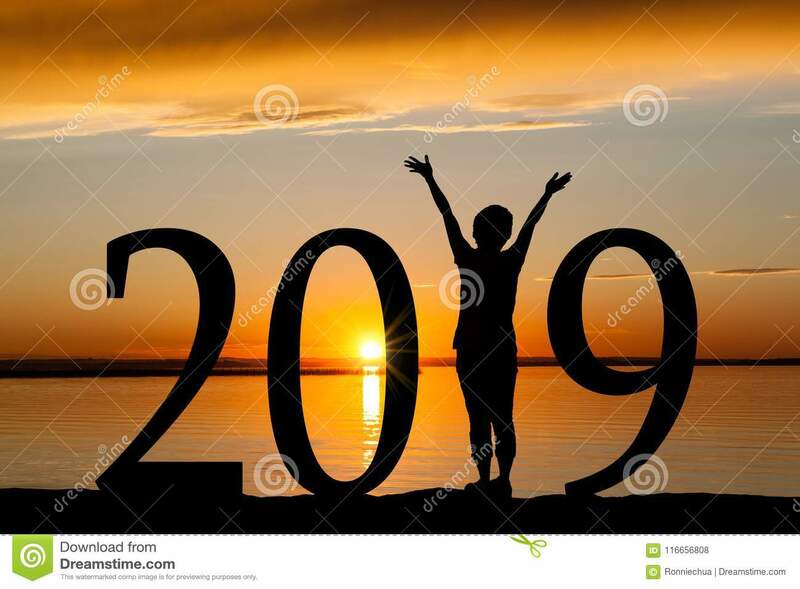 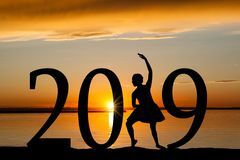 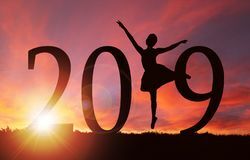 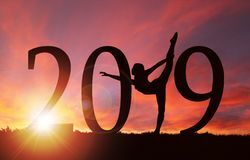 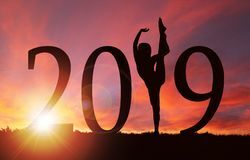 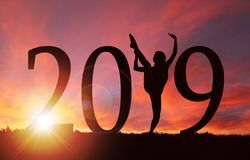 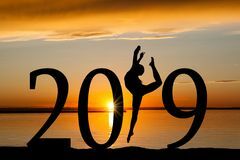 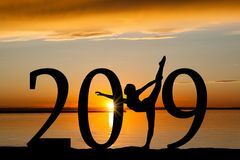 2019 New Year silhouette of a girl with hands raised at the beach during golden sunrise or sunset with copy space. 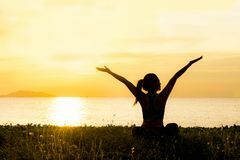 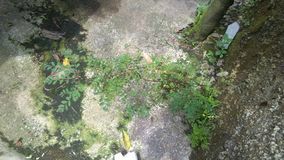 Concept of joy, praise, worship, connection with nature. 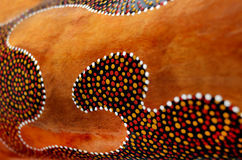 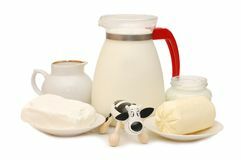 Set of dairy products and a toy cow Sunset yoga woman Aboriginal artwork Calorie counter Sound Healing Logo Raised hands catching sun on sunset sky. 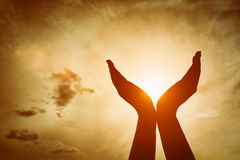 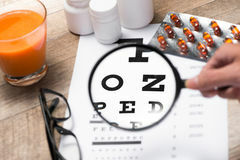 Concept of spirituality, wellbeing, positive energy Set of Sacred Geometry Signs Healthy eyes. 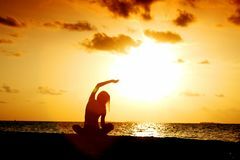 Eye chart and medicine Meditation yoga lifestyle woman silhouette on the Sea sunset, relax vital.